When I enter my church on Sunday, I’m often asking myself, “What can I get out of today’s service?” Yet, a better question to ask is, “how can I serve my church today?” One of the best ways to serve is through prayer. Whether you are a new member or part of a church’s founding members, prayer should be at the heart of any church body. This can be done at any time or day of the week. We need to lean on God’s direction and wisdom to meet the needs of unbelievers in this increasingly unbelieving generation. But how can you pray for your church? This is the most important part of a church’s vitality. Fortune 500 companies don’t just plan for one year, but they constantly make goals and meet them for the purpose of moving their company forward. They know not only where their company will be in one year, but in five or ten years. Steve Jobs, founder of Apple said, “There's an old Wayne Gretzky quote that I love. 'I skate to where the puck is going to be, not where it has been.' And we've always tried to do that at Apple since the very, very beginning. And we always will.” Growing churches need to shoot their puck to where they think God is, not where He was. A healthy church knows where it is headed, and not afraid to take the steps to get there. Acts 1:8 says, “But you will receive power when the Holy Spirit comes on you; and you will be my witnesses in Jerusalem, and in all Judea and Samaria, and to the ends of the earth.” As His people, we are commanded to spread the gospel to the world, not just within our church walls. But churches that only focus inward rather than outward will soon die. There’s nothing wrong with having programs with their main intent to help members grow. But a church that is intent on growing both in numbers and in spirit must have a game plan for how to reach out into their communities. Missions, whether overseas or outside the church’s doors, must be on every church’s radar. Membership can make or break a church’s growth. Some church’s bylaws are set up so members vote on important aspects of the church. Others do not. Members that are willing to follow their leadership team will assist in a church’s growth. Members that are cogs in a church’s wheel, however, will impede growth rather than stimulate it. Prayer is important for any member who wants to do what is in a church’s best interest, not their own. The leadership team, often called the elder board, are comprised of people responsible for making the major decisions of the church. Even if you have little say in the direction or vision of the church, pray for God’s willingness to guide them as well as the team’s willingness to obey what they feel God is saying to them. People think pastors only work one day a week, but the sermon is just the culmination of what has gone on the other six days of the week. What people don’t see is when a pastor visits a church member until the wee hours of the night. People also don’t see the leadership meetings after church, or the phone call to resolve the conflict between church members. Not to mention the spiritual warfare they experience when the enemy dislikes the growth of the congregation. Uphold your pastor in prayer. 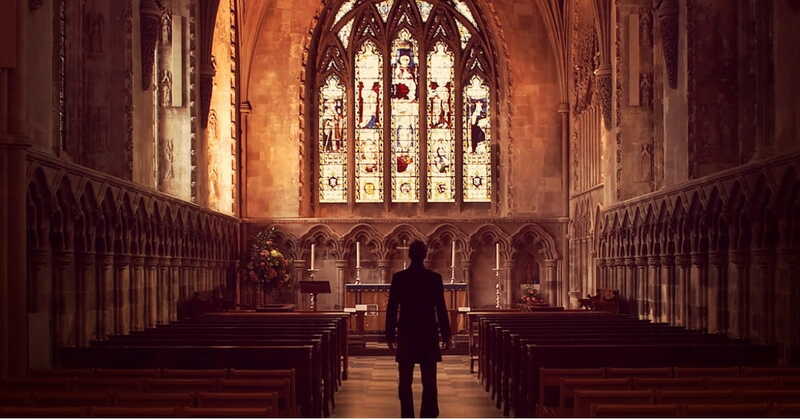 Being a pastor is one of the loneliest jobs in the world. You may be providing comfort and encouragement more than you realize. It's easy for a church to compare itself to other churches, copying whatever successful church’s use for ministries. But a church whose focus is on God and what He is doing doesn’t need to use the most popular programs, necessarily. All ministries should fit with the overall church culture. For example, a church focused on reaching the community will discover what programs people need the most and then offer them as away to answer their community’s felt need. It is impossible to attain true connection without a place for fellowship. This goes beyond the simple platitudes given to each other on a Sunday morning. A church shines when it meets a person’s need for connection and intimacy. Analyze your church’s fellowship. Does it display a welcoming atmosphere when you walk into the doors? Are there people who welcome new people into small groups or spend time to get to know them? Churches thrive then things are going well. But what about when they are not? When two members have a spat and it goes unresolved, that conflict spreads, giving way to gossip and slander. These are two damaging elements to a church’s reputation. A healthy church is one in which a pastor, members of a leadership team, or even its members deal with and resolve conflict directly, rather than run away from it. Today’s society is more adverse to religion than it was twenty years ago. Although this may seem hopeless, it doesn’t have to be. Thriving churches analyze a community’s needs and make efforts to meet it, even if it means throwing away archaic methods of evangelism to opt for more modern methods. Programs like the Alpha Course present useful information about God and the Church in a way that is non-threatening and utilizes modern technology to appeal to our video based society. It also allows people who have doubts and questions to voice them in a safe, non-condemning atmosphere. When I first became a Christian, I became a part of our small groups called cell groups. The groups were aptly named because they were the foundation of the church and able to reproduce. As people were trained within the group, they were then challenged to begin their own group. Leaders are commanded to reproduce other leaders so a church can thrive. Jesus spent his time in small groups training his twelve disciples so that when His time came to leave Earth, the disciples could carry on the mission of spreading the Gospel. A sign of a healthy church is one in which good training programs are in place so that leaders are investing in other leaders so they can train others and replicate growth.